Ondřej Čelůstka called up for the national team! Ondřej Čelůstka has been called up for the national team! Czech coach Karel Jarolím called him up for the friendly v Lithuania on 23 March 2017 in Ústí nad Labem and for the FIFA World Cup qualifier v San Marino on 26 March in San Marino! 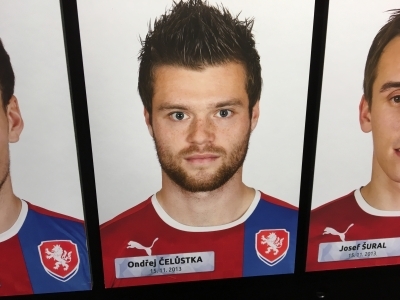 Ondřej has one international cup so far, in November 2013 he played in a friendly v Canada in Olomouc and scored his maiden goal in this game. Long hard work and patience has finally paid off! Congratulations!